Apache Roller is a very popular group-blog server suitable for blogs both large and small. Multi-user blogging: can support tens of thousands of users and blogs. Group blogging with three permisson levels (editor, author and limited). Support for comment moderation and comment spam prevention measures. Bloggers have complete control over blog layout/style via templates. Built-in search engine indexes weblog entry content. Pluggable cache and rendering system. Support for blog clients that support MetaWeblog API. All blogs have entry and comment feeds in both RSS 2.0 and Atom 1.0 formats. Just like with any other Java application, it is very easy to deploy Roller to the Jelastic Cloud. Thanks to our friend and user Jeroen Kops, who first shared with us his experience using Roller on Jelastic, you can quickly go through the steps below and get Apache Roller up and running in no time. 3. 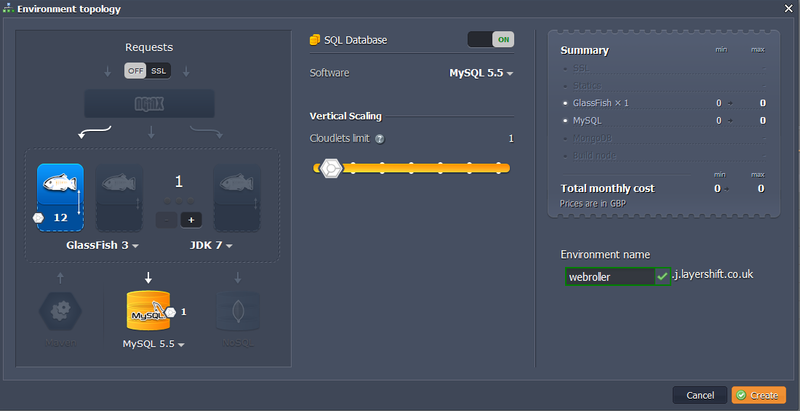 In the Environment topology dialog which opens, pick GlassFish as your application server, MySQL as the database you want to use and type your environment name, for example, webroller. Then click Create. 1. 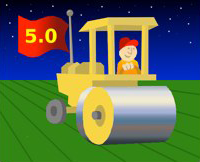 Go to Apache Roller website and download roller-weblogger-5.0.0-for-javaee.zip file. 2. Extract the files from the package you have just downloaded. 3. Switch back to Jelastic dashboard and upload roller-5.0.0-javaee.war package (roller-weblogger-5.0.0-for-javaee/webapp/roller-5.0.0-javaee.war) to the Deployment manager. 1. Click Open in browser button for MySQL. 2. While you were creating the environment, Jelastic sent you the email with credentials to the database. Create an account and the database with the application using these credentials. 1. 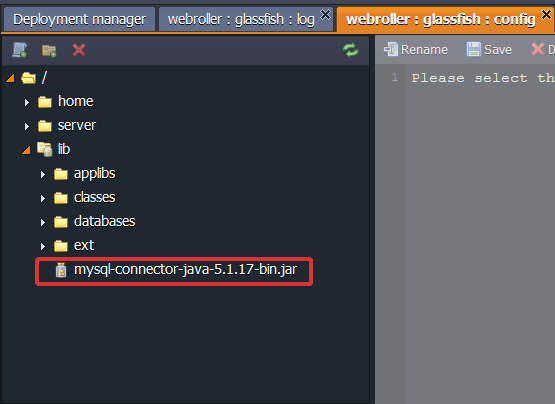 Click the Config button for GlassFish and upload MySQL connector to the lib folder. 3. 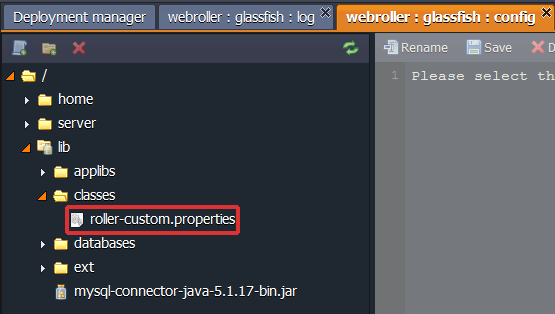 Upload the roller-custom.properties file to classes directory (lib/classes). 4. Create rollerdata directory in the home folder. 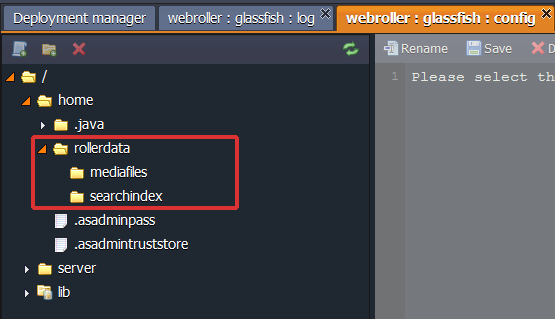 Then select the rollerdata directory and create mediafiles and searchindex directories in there. 5. While you were creating the environment, Jelastic sent you the email with credentials to your GlassFish DAS node. 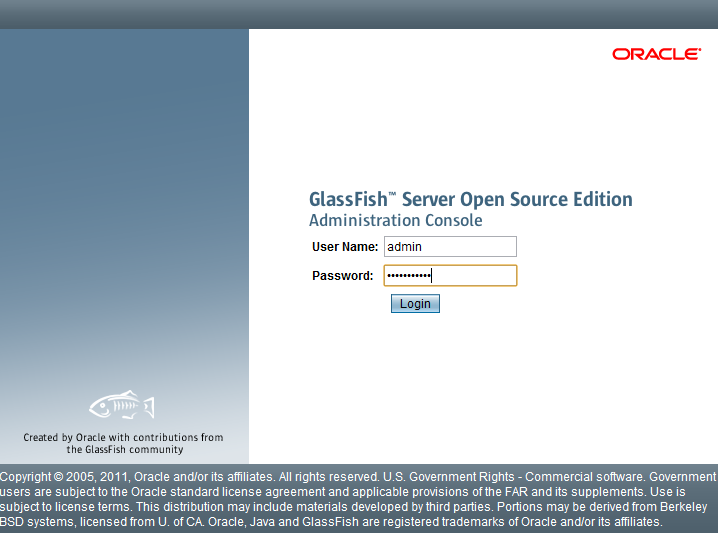 Go to GlassFish admin panel and log in using these credentials. 6. Create connection pool with the name WebRollerPool. Choose java.sql.Driver as the resource type and MySQL as the database driver vendor. Click Next. 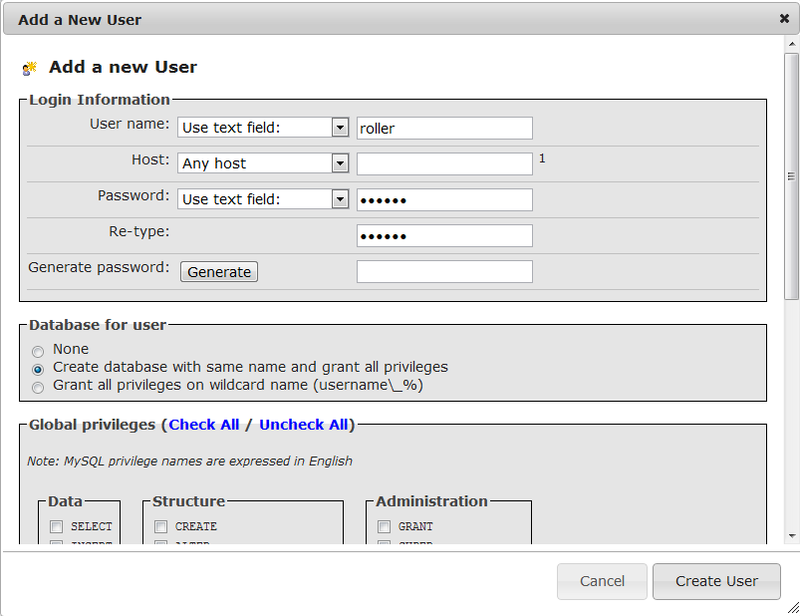 Navigate to additional properties and enter your database URL, username and password. 7. 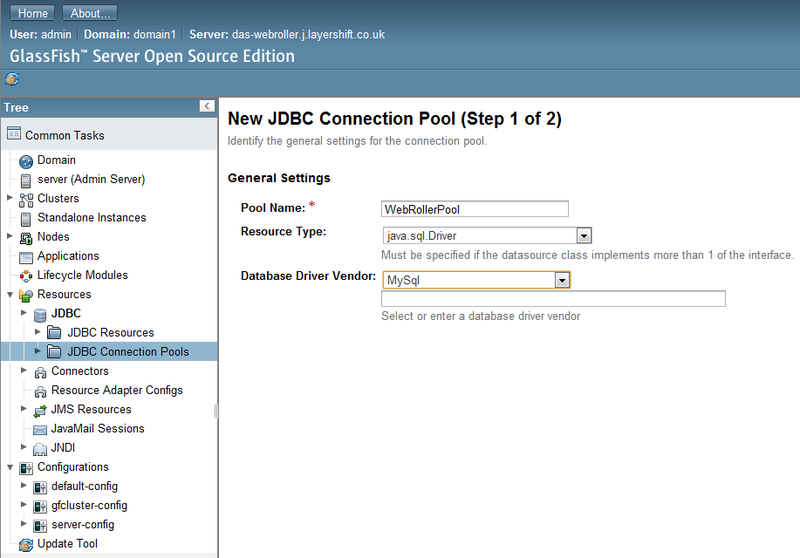 Create JDBC resource named jdbc/rollerdb and select the created WebRollerPool as the pool to be used by this resource. 8. 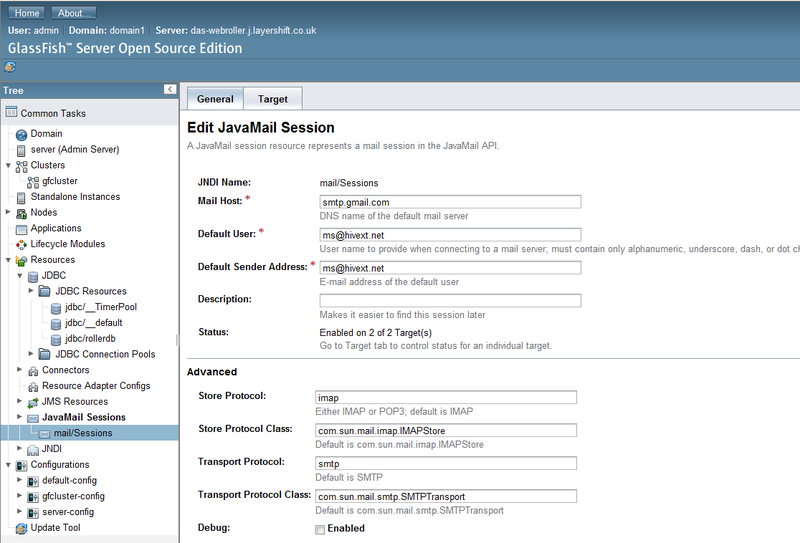 Create a mail session with the name mail/Sessions (we use Gmail as an example). 10. Switch back to Jelastic dashboard and deploy your Java package to the environment you have created earlier. Now open you can open Apache Roller in a web browser, complete the installation process and start using it!